These webpages offer basic tips for researchers preparing grant applications. There is advice on how to communicate the novelty, strengths and importance of your research ideas, as well as how to convey your abilities to plan, manage and deliver on your project. There are also links to external grant writing resources. 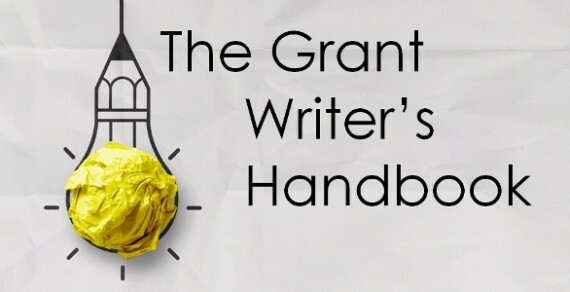 The Grant Writer's Handbook webpages offer guidance on all the main stages of the grant application cycle, from generating the initial research ideas to formulating the research question, drafting (and redrafting!) the proposal, the review process, and responding to reviewers’ comments. There is advice on addressing key sections of a grant application, including how to write an effective abstract, providing the right level of technical detail in the methodology section, effectively highlighting the strengths of the research team, designing a convincing budget, and explaining the future impact of the research. In particular, these webpages capture important 'dos and don'ts' identified by experienced reviewers: what appeals to them, what turns them off, and what is likely to encourage them to either recommend funding or decline a proposal. The content on this website is largely based on the book 'The Grant Writer's Handbook' by Gary Crawley and Eoin O'Sullivan. This website also provides links to other resources offering guidance on research grant proposal development. In particular, there are links to grant writing tips and advice provided by national research funding agencies, as well as some research journals and individual researchers. There are also some cartoons. These webpages are still under development. If you have recommendations for useful links or ideas for new content, email any suggestions to Eoin O'Sullivan.